Did you know only around 30% of SAG-AFTRA actors actually make more than $16,000 a year? Why are so many actors not working? If the acting opportunity you’ve dreamed of showed up today, would you really BE ready? Not just to land the role, but to deliver the kind of performances you are truly capable of? 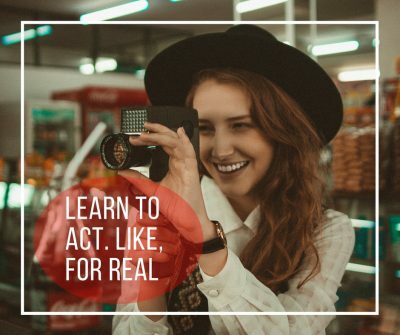 The Acting Accelerator Class has got you covered. Online acting class held via Zoom weekly for a super-charged 90 minutes. You can be anywhere in the world and join right in, no problem. Every week we celebrate successes, deepen craft with a new lesson and most importantly, dive deep into working audition material, scenes and monologues so you will not only be sharp at your auditions and ready to book, but be prepared to deliver the kind of performances that matter when you get the job. Limited to 4 students so you get lots of personal, direct attention. We collaborate with directors, television networks, film studios and media companies to prepare actors for roles both before shooting and on-set. 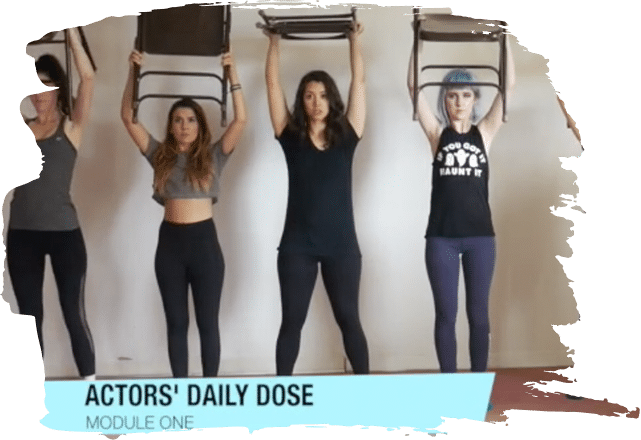 The Acting Accelerator Class is an online acting class held via Zoom weekly for a super-charged 2 hours. You can be anywhere in the world and join right in, no problem.